The next General Meeting of the Membership of IATSE Local 22 will be Sat. May 11, 2019, 9 am Clothing donations are still being accepted. The letter below was written by Vice President Lauren Rogers at the request of the Chair-President Chuck Clay and with the consent of the Local 22 Executive Board. Although the letter is in response to a specific incident, the information and advice in it can be applied universally. Please read it and heed it for the good of Local 22. ETCP: Building a better industry through knowledge. ETCP Certification and continuing education promotes a culture of on-going learning, safety, and professionalism. Brothers and Sisters, we recently received a letter from the IRS making every contribution of any amount fully tax-exempt for the Fund and making any donation in any amount fully tax deductible. Brothers & Sisters the need is great but at present, the SERF funds are limited. The Website Registration is for I.A.T.S.E. Local 22 Members in Good Standing. This is not for Referral Members. Referral Members can access most of the site with out registering. 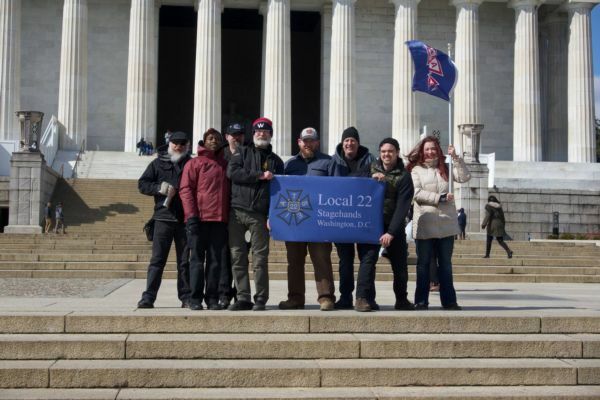 Brothers & Sisters, The State of Local 22 is Strong and on solid footing. Time For Change --Matthew Loeb, International President, IATSE For far too long women in our society have struggled for equality and a safe, harassment free workplace. Recent events and widely publicized instances of sexual harassment in the workplace have highlighted the need to deal with these matters here and now. WATCH! A brief video reminding us of the rich history of our Union, and inspiration for what lies in our future.